We do all the work so that you won't have to! We have applied powerful, but straightforward solutions to simplify the way your business makes payments. First, we enable your suppliers for you. On day one, we can automate 100% of your payments to your suppliers, regardless of their capabilities. Next, we integrate to YOUR payment file. One single platform enables all payments. Last, we close the loop on reconciliation. There is no need to implement different processes for different payment methods. Say goodbye to paper checks and earn cash back rewards! Your AP department submits a payable disbursement file that contains all of the vendor invoices to be paid. A unique credit card number is generated for each payment and is automatically delivered to your vendor for payment. Your vendors process the payment as they would with any other credit card. All of your vendor payments are easily reconciled using our payment portal and dashboards. There are 4 Big Benefits by using virtual credit cards to pay your suppliers. 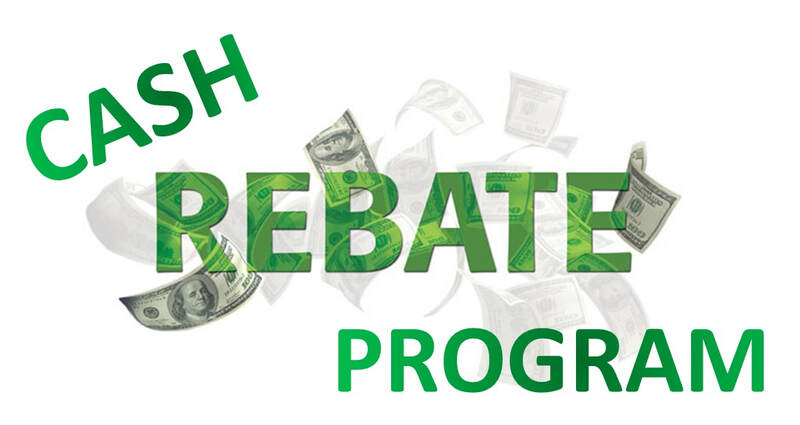 One of the more tangible benefits of virtual credit cards are the cash rebates you will receive. The level of rebates are directly tied to how much your AP spend is each month. The more suppliers invoices that are paid using virtual credit cards the higher the rebates you can earn. According to the Association for Financial Professionals, paper checks are still the number one target for payment fraud. Virtual credit card payments allow you to set specific dollar amounts and expiration dates on each payment, giving you another layer of protection that reduces your payment fraud risk and improves controls. By integrating virtual credit card transactions and payment reconciliations with your financial systems and process, this eliminates the need to cut paper checks by AP Staff. By converting your manual payments to an electronic virtual credit card also means you will have better controls over your cash flow. You will know exactly when your suppliers payments need to be initiated and when the payments clear. This will allow for better cash flow forecasting, allowing you to hold funds longer and make better cash management decisions. WHY SHOULD I IMPLEMENT ELECTRONIC PAYMENTS? Automating your accounts payable process and outsourcing payments is likely your quickest and simplest way to reduce costs and generate new revenue. There is very little need for involvement from your IT or Finance resources and no startup costs. Most companies have thought about implementing electronic payments and may have dedicated 100's of hours of resources to gather information, enter it in their AP system, only to have to deal with payment exceptions months later. Implementing with cPayPlus not only relieves the need to gather supplier information, but keeps the information up to date and removes the burden of securely storing the data. If you are like most U.S. companies and still make payments via paper check, you are spending too much and losing out on an opportunity to capture discounts. ​WHO STANDS TO GAIN THE MOST FROM ELECTRONIC PAYMENTS? Those that still are making payments via check, especially those making over 100 payments per month. Growing businesses. When your business is growing and you need to manage more transactions with the same number of resources. Businesses interested in adopting electronic payments but don't have the resources to gather and update your suppliers' information. Those businesses that may have implemented a credit card solution for their AP and have had to make changes to their payment processes for just a portion of their payments, but still want to take advantage of card rebates. Businesses that would like to implement a card solution to capture rebates but don't have availability of a credit line. WHAT MAKES YOUR SERVICE THE BEST? Every transaction between a payer and payee represents an opportunity to continuously improve electronic penetration. Many payment providers focus only on capturing card spend for large suppliers. So, they will run a "campaign" to enroll suppliers once and maybe visit those results once or twice a year. We can treat every transaction as an opportunity to convert to electronic payments and reduce your costs and increase card rebates. Our solution is a true full service solution. Many solutions will tout "turn your AP department into a revenue generator" and expect you to manage various new payment exceptions. With cPayPlus, you will not only generate new revenue, but will do so with less work from your AP staff.